Payment – Prices: * To confirm a booking, a deposit is required. The balance of your holiday cost is due 10 weeks prior to your arrival and specified on your confirmation. If you book within 10 weeks of your arrival date, the full amount is due at the time of booking unless other customized arrangements are made. * All prices mentioned are in euro,unless otherwise stated and are accurate at the time of reservation and will not be altered to you after confirmation of the booking has been received. 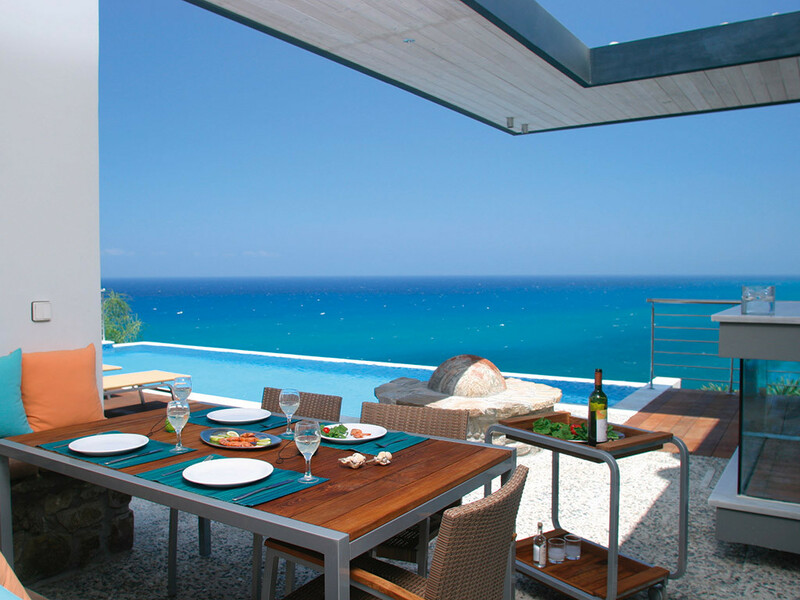 * Z&X Holiday Villas, reserves the right to increase or decrease published prices of any unsold properties at any time. The price however, of your chosen property will be confirmed at the time of booking. Cancellation: * Deposits are never refundable in case of cancellation, If balances are not paid when due, then your booking may be treated as cancelled and result in a cancellation fee in addition to the deposit already paid.If you need to cancel a confirmed booking, you must contact us by e-mail or fax. The cancellation is effective when your notification is received by us: * No fee will apply for cancellations received 30 days prior to arrival date *50% cancellation fee will be invoiced for cancellations received 29-7 days prior to arrival date *100% cancellation fee will be invoiced for cancellations received from 6-0 days prior to arrival date The cancellation charges are based on the number of day’s notice before arrival when we are advised of the cancellation. Accomodation: * We accept responsibility to provide the accommodation as described on our website, but shall not be liable in circumstances where we are prevented from providing the accommodation because of events outside our control, such as flood, fire, adverse weather conditions, war, threat of war, civil disturbance or acts of any local or national government. * The accommodation can only be occupied by those persons named at the time of booking or subsequently advised either in writing or by e-mail. If additional people are found to be in occupation, the supplier may terminate the contract immediately and require all occupants to leave. No refund shall be due in these circumstances. Maximum occupancy: *Standard villas: 2-bedroom villa: 4 persons 3-bedroom villa: 6 persons 4-bedroom villa: 8 persons *Premier & Deluxe villas: No persons above maximum occupancy are permitted **: In the case where the Maximum occupancy rule is not adhered to, the management reserves the right to demand immediate evacuation of all tenants. Baby Cots: * Most of our villas provide one baby cot .Please check with us should this required. Additionally we may supply max. one (1) camp bed suitable for a child, which will be charged at €21.00 per day. Air-Condition: * Air-conditioning is an optional extra and is payable locally for the whole duration of your stay at the villa. This units must be only be used while you are in the property, with all windows and doors kept closed. Under no circumstances must the units be left on continuously while the property is unoccupied. Safety Boxes: * Some villas offer Safety Boxes. Should you wish to use this facility, a refundable deposit of €30.00 is required, which will be refunded to you upon your departure. Check-in & Check -out: * Access to the villas can be after 16.00hrs on the day of your arrival. 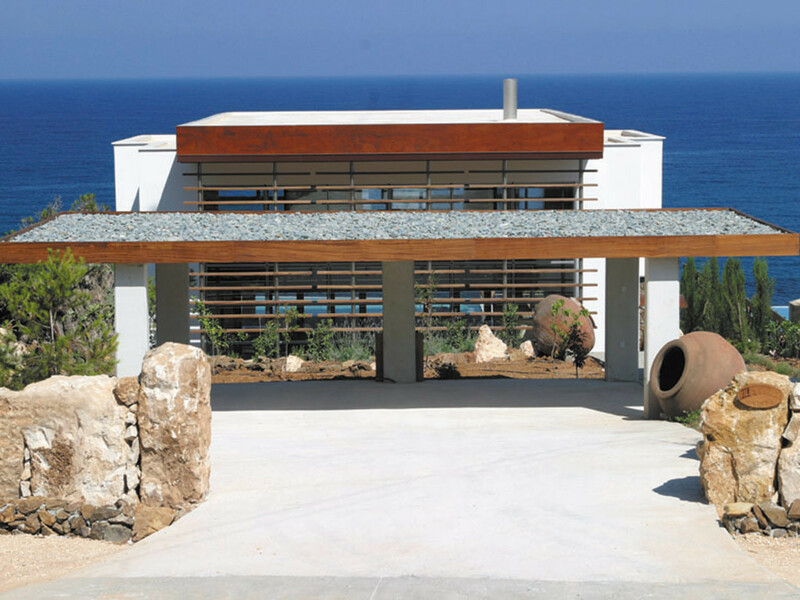 The villa must be vacated during the morning of the day of departure to enable cleaning and preparation to be completed prior to the arrival of new guests. This is normally at 10:00 am. Should you require late check out, kindly inform us beforehand. Provided that it is possible, an extra charge of €40.00 will apply for departure after 10.00 hrs and by latest 16.00 hrs. From 16.00 hrs onwards the charge for a full extra day will apply. Swimming Pools: * Most of our villas enjoy private swimming pools. Please take great care by the pool area if under the influence of alcohol, accidents may and sometimes do occur. We recommend that you do not dive into the swimming pool. Children must be supervised in the swimming pool area.Please note that we do not provide any umbrellas since all of our villas have covered areas. Pool Heating (where available): * Must be requested at time of booking. This is an additional charge of 350.00 euro per week and will be payable in resort to the management company representative. Maid Service: * Maid service is once a week (prior to your arrival and during your stay considering your duration is 7 nights or over. Bed linen and bath towels are also changed once a week (It is advisable for you to bring your own beach towels as these are not provided by us. Even though washing machines are present in all our villas, personal laundry can be arranged at an extra charge through your maid. Special Requests: * All special requests must be stated on booking form or requested in writing otherwise we cannot guarantee that your requests will be adhered to. Photographs: * Photographs are intended to give an overall impression of individual Villas or Resorts. The Management does not accept any responsibility for items of furniture etc, which appear in photographs but may have been changed or removed, nor for any changes to aspects which may have changed since photographs were taken. Building Works: * Any building work which may commence in the local area is outside of our control and we can not be held responsible for any resulting disturbance.However, should we become aware of any building work which may be considered to aversely affect the enjoyment of your holiday we will notify you as soon as possible and whenever possible offer you the opportunity to transfer you to an alternative villas at the same price. 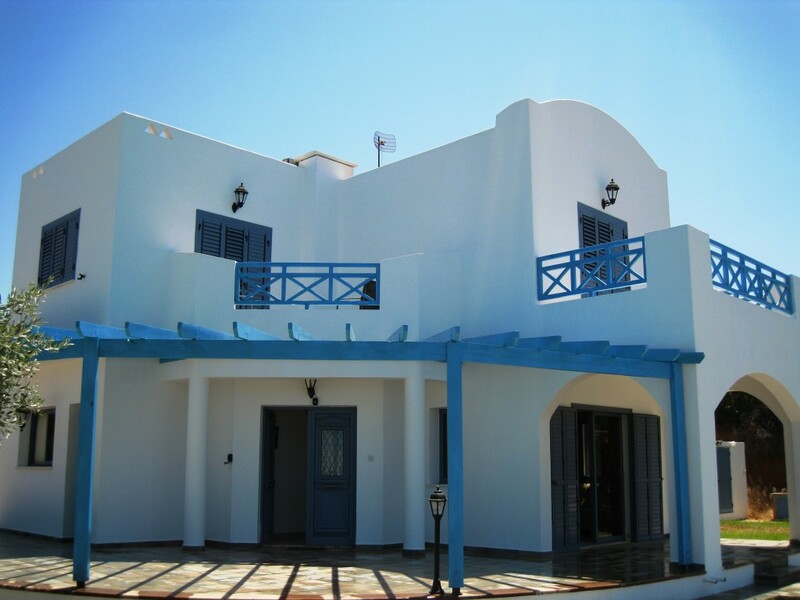 On-line bookings: Z & X Group offers its clients ON-LINE booking options for all Villas and Cars. On-line booking entails acceptance of the following conditions: *Management and protection of personal information *On-line booking requires the publication of certain personal information by the user, such as, for example, name and surname, home address, telephone number, credit card details (eg. number and expiry date)etc. *This personal information (personal data) is stored by Z & X Group in an electronic (or paper) data base in accordance with the terms regulating the protection of persons and personal information, and in accordance with all laws and stipulations in force both in Cyprus and in European law on the subject of consumer protection and commercial transactions conducted over the internet. *The personal information provided by the user and stored in the abovementioned database is confidential. This information may only be used by any of the Z & X Group for reasons concerning services provided to the user/client by the group, for informing clients about offers, new facilities or services, and in any research and study carried out by the group for creating new services or improving existing services, as well as for statistics and advertising. At no time will this information be revealed to third persons unless legally required by the police, Public Prosecutor, any legal or official public administrative, financial or other authority for the purposes of the eradication or control of criminal acts or within the framework of official investigations for the purpose of the eradication or control of criminal acts carried out by the user or in which the user has participated either directly or indirectly. Please contact us and benefit of our special discounts!